As soon as I set foot on the narrow path in the Giardino Bardini, I feel a sense of tranquility come over me. While the gravel crunches under my feet, the hum of the city begins to fade. I take the shortcut to the top by hiking up the steps in the middle section of the gardens. At the top of the staircase, I see the two statues on the terrace wall. Instead of walking through the gardens on the right, I turn left and walk up the incline. I feel a sense of excitement as I stroll through the tunnel of purple and pink wisteria that has just started hanging down. 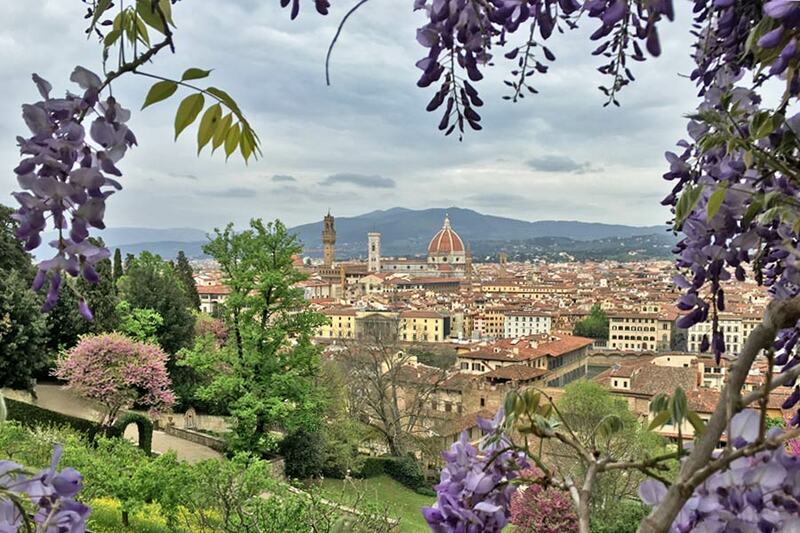 When I reach the top, I look out at Florence and can only hear the birds chirping and the church bells ringing in the distance. The other day I was standing outside a friend�s door on via dei Servi waiting to be buzzed in and I saw the Duomo at the end of the street. I was so taken by the view and the way the sun was shining on the street that I took a photo. It got me thinking about just how incredibly fortunate I am to enjoy so much beauty. Instead of going home directly after my appointment, I walked around the Duomo to admire it in its entirety. 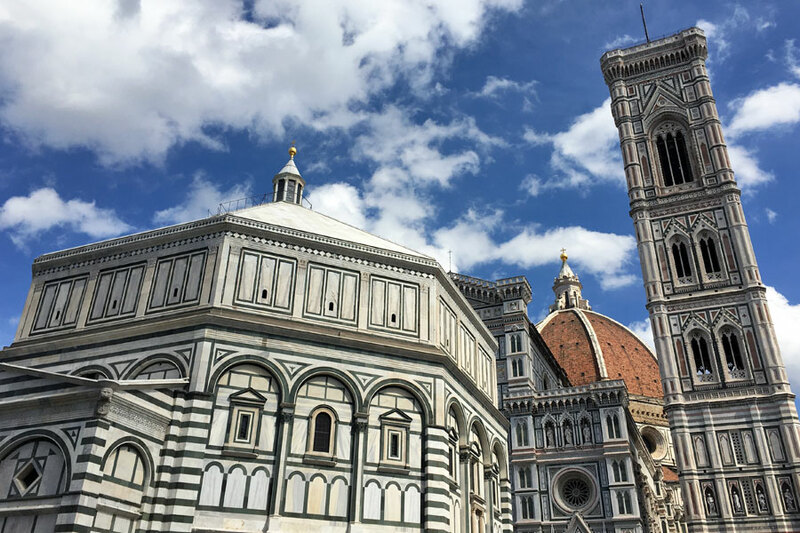 I was so taken by its beauty that I almost didn�t notice how crowded it was in front of the Duomo. When I finally looked around me, I saw tourists huddled in groups, bikes zigzagging around us, and horse drawn carriages ringing their bells and making their way through the crowds.